He’s no stranger to taking his shirt off – and if we had abs like Mr Derulo, we’d be showing them off too. Luckily, he’s shown you EXACTLY how he got that amazing bod. 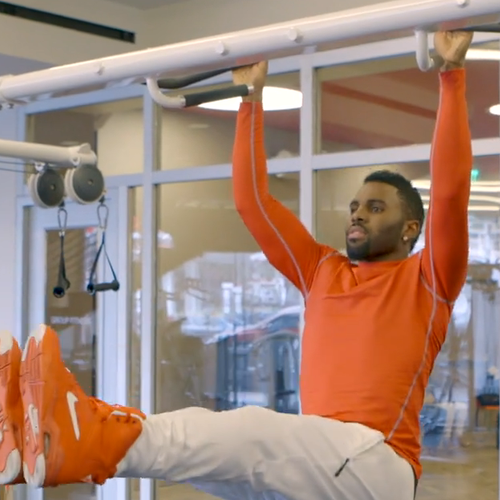 It’s no secret that Jason Derulo is the owner of one of the finest set of abs in all of the pop world – but the ‘Want To Want Me’ star has just revealed all his tips for getting a killer stomach just like his. Unfortunately there is no quick fix and it does require a hell of a lot of hard work – those pull ups look pretty impossible for us mere mortals! One thing we can definitely do is put Daft Punk’s ‘One More Time’ on our workout playlist just like Mr Derulo – who knew he was a fan of the masked electro duo? Jason will be performing at Capital's Summertime Ball with Vodafone on 6th June - check out the full line-up here.